The Pursuit CR5 glove provides law enforcement professionals with functional blade-cut resistance without hindering the officer’s ability to manipulate firearms or perform searches. The glove is anatomically designed to conform to the natural curvature of the hand using three-dimensional patterning. The palm construction features durable synthetic leather lined with CE level 5 Armortex® cut resistance. The Pursuit CR5 maintains connectivity in the field with touchscreen capable technology in the palm of your hand. Thermoplastic Rubber (TPR) closure provides a secure fit to the wrist. Form-fitting stretch spandex conforms to the back of the hand. Three-dimensional patterning conforms to the natural curvatures of the hand. Touchscreen capable synthetic leather palm. 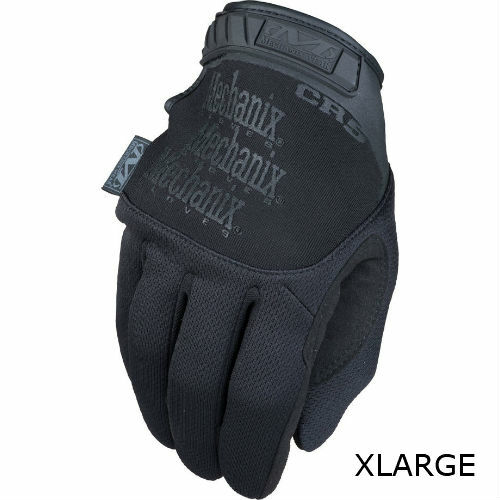 Durable synthetic leather palm provides abrasion resistance. Internal layer of Armortex® delivers CE level 5 blade-cut resistance to the palm and fingers. *Please note glove is cut resistant, not cut proof. Use with caution at your own risk.